15 bulbs will produce 15 stems with 3 to 5 blooms on each stem. 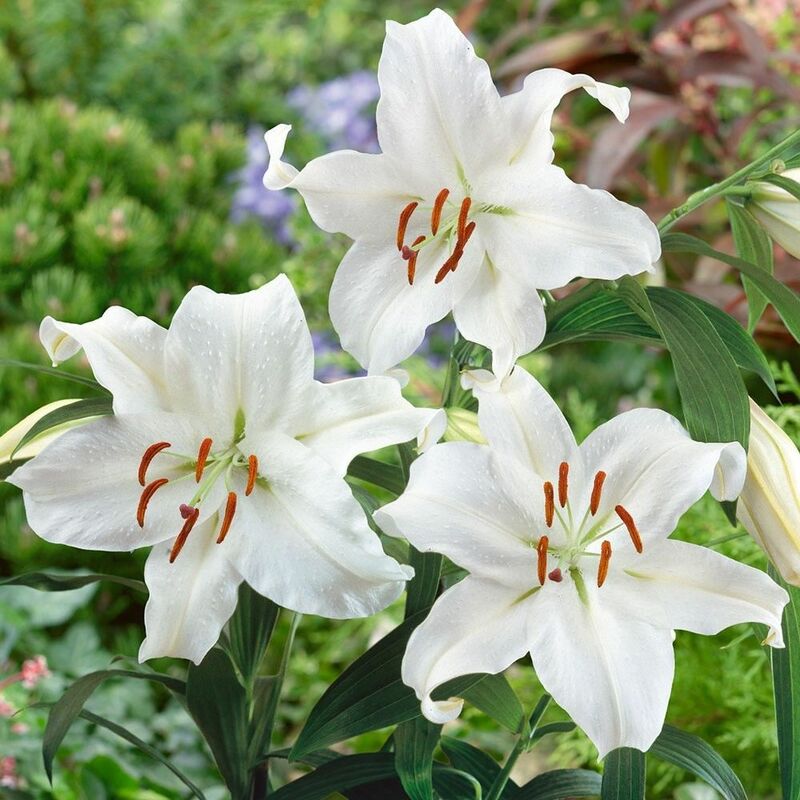 Casa Blanca is a pure white Oriental lily that blooms July through August. 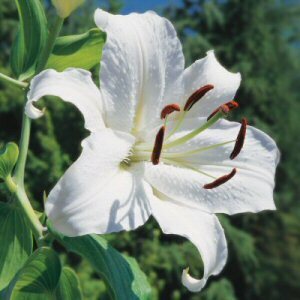 It is very fragrant, and will produce dinner-plate size blooms. Casa Blanca will bloom after the Asiatic / L.A. 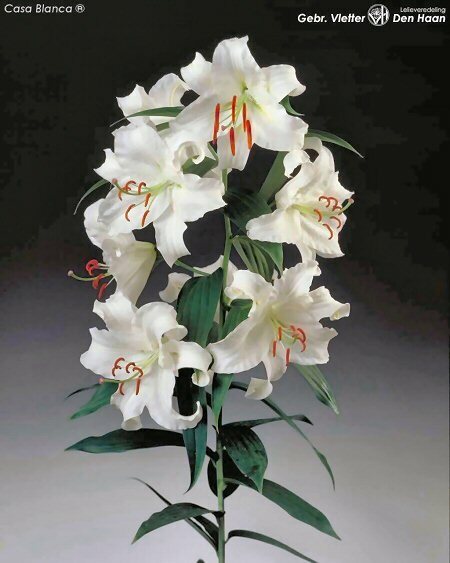 Hybrid lilies.